This 3-day programme enables experienced Prosci change management practitioners to develop an enhanced perspective of how to drive best practice change management within their organisation. 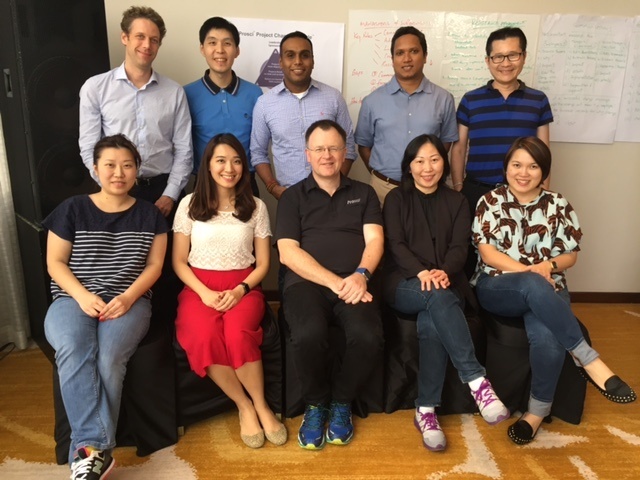 The Prosci Experienced Practitioner Programme provides an opportunity to collaborate with and learn from other seasoned change practitioners as you analyse case studies, assess complex change scenarios and topics (agile, CPI, lean six sigma etc) following an exploration of foundational change management literature. This course was formerly known as the Prosci Advanced Practitioner Programme. Participants of CMC's Prosci Experienced Practitioner Certification are now eligible to apply for SkillsFuture Study Award for Human Resource, government funding from the Ministry of Manpower. Click here to learn more. This program is designed for experienced change professionals who completed the Prosci Change Management Certification Programme and have applied change management on many different types of projects with varying degrees of complexity. Receive expert instruction on the advanced application of change management, and learn from experienced peers. Course completion also fulfils part of the requirement towards Prosci's Advanced Tracks Certification.